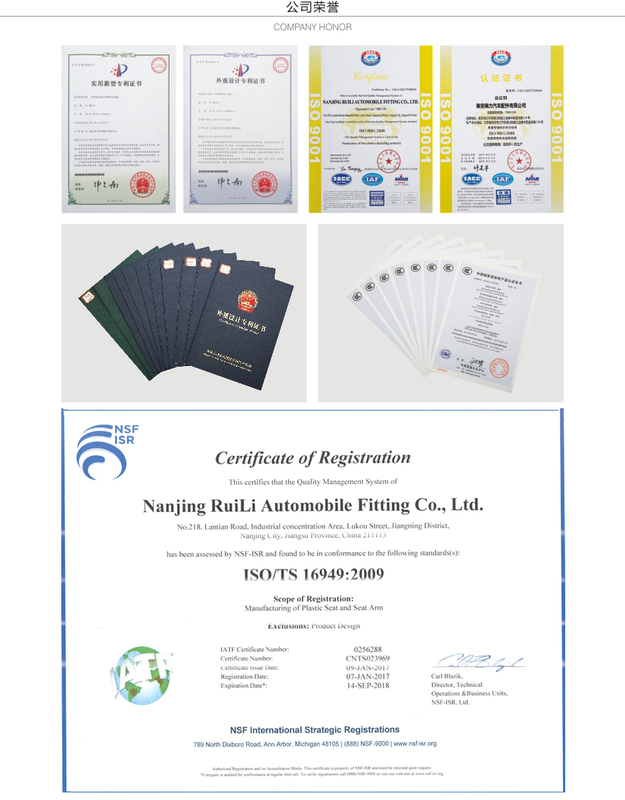 Nanjing Ruili Automobile Fitting Co., Ltd is located in a long history and beautiful scenery of the ancient capital of the six dynasties of Nanjing.The company was founded in 2002. It is a bus seat development, design, manufacture and sales of professional manufacturers, with many years of experience in the production of bus seats. And all the time, the company for the sake of customers, responsible for the user's honest business attitude, enjoy a good reputation in the industry, has won the recognition and support of the majority of customers, we continue to strengthen the confidence to move forward. After years of accumulation, the company has a mature supporting processes, with 600 thousand annual production capacity.With the diversification of changing market and customer demand, the company from the original single plastic seat, derived from different styles, different size type steel chairs, then develop a semi soft, soft and lightweight aluminum surface multiple configuration seats and other products, so as to provide a broad space for customers to choose. The company has advanced equipment, strong technical force, a young and energetic team, can independently design, open mold, so that products continue to emerge.In 2010 the new bus armrest business, now the production of a variety of models of the handrail, by virtue of its excellent quality, preferential prices, as the bright younger generation won a share of the market, has made gratifying achievements. Along the way, by virtue of our expertise and positive customer service attitude, has become the designated supplier of domestic passenger car manufacturing enterprise standard or optional suppliers and multi bus company.The products exported to overseas with the bus at the same time, we also received more and more overseas customers take the initiative to seek cooperation and good news.Our products through <?xml:namespace prefix = iso9001 />and quality management system certification, and through the national compulsory product 3C certification.After verification of the market for many years, the company is worthy of your trust, and never worry about the choice of! 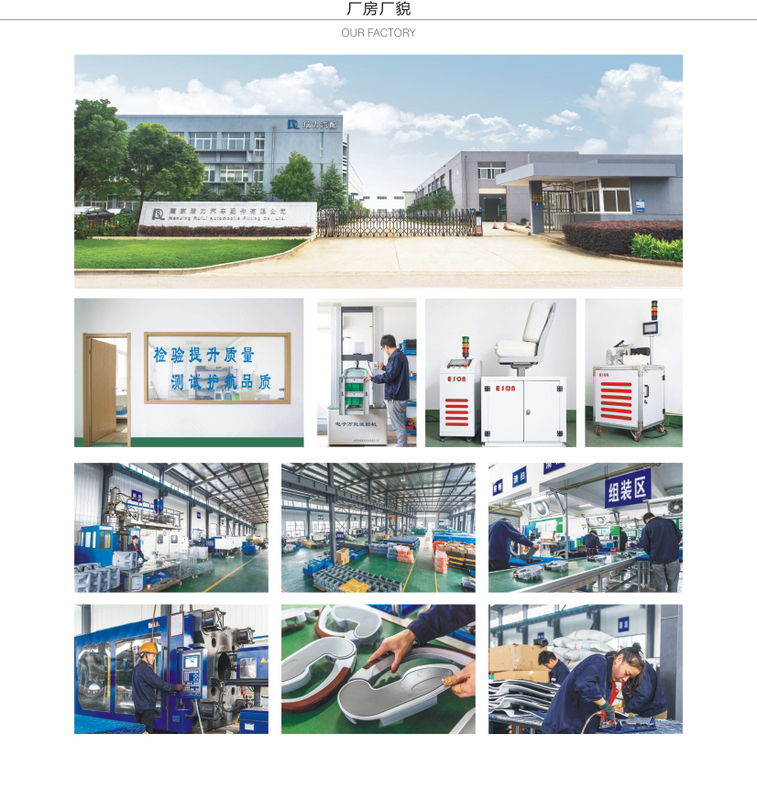 We sincerely welcome the broad masses of customers and industry peers to visit our company exchanges and guidance, look forward to working with you hand in hand to create brilliant!